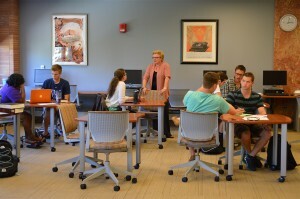 The Writing Center works with students at any stage of the writing process. We’ve got a team of 50 well-trained tutors to work with any writing project a student might have. We’ve been especially busy this semester, so we ask that students call at least a week in advance to schedule an appointment! Do you offer services/hours tailored to mid-semesters? 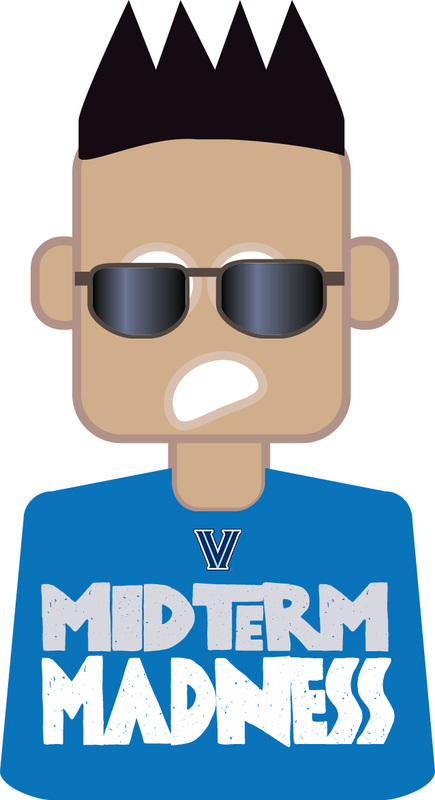 We will offer extended hours one night during midterms. “Midnight Madness” has been going on for years now in the Writing Center and it’s great fun, actually. We have pizzas and snacks and lots of energetic tutors ready to help students during crunch time. “Midnight Madness” accepts walk-ins only. Last fall we saw over 60 students in four hours! This year, it will be Wednesday, Oct.9th from 7:30-11:30 p.m. In the midst of the dreaded midterm exams, the role of Falvey’s Learning Commons is increasingly important. The Learning Commons, on the second floor of Falvey, houses the Writing Center, Room 210; the Math Learning Resource Center (MLRC), Room 211; Learning Support Services (LSS), Room 212; the offices of the research support librarians; and the office of Kimberley Bugg, team leader of Information and Research Assistance and Service Development. Mary Beth Simmons, MFA, is the Writing Center director. Melissa Ferreira, MA, directs the Math Learning Resource Center. 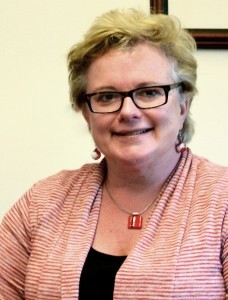 Nancy Mott, EdD, is the Learning Support Services Director. All are dedicated to helping Villanova students achieve their academic goals. A small non-circulating reference collection and several comfortable seating areas complete the Learning Commons.